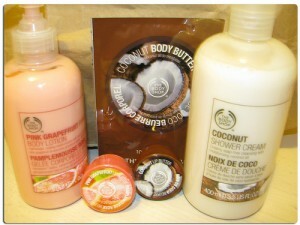 Skincare products with coconut cream is a good choice for fall season. When it gets extremely cold, the best way to protect your skin is by slathering it with moisturizers and creams. Choose a moisturizer or lotion with a thick, almost creamy consistency rather than watery ones. Apply lotion all over your body, including those areas that are not exposed to the environment (chest, back, stomach, buttocks). Apply moisturizing cream to your face and neck before putting on makeup. Although it is cold outside, the sun’s rays can still cause harm to the skin. We are still exposed to the sun’s harmful UV rays 365 days a year, despite the changes in temperature every season. Did you even know that you should never skip your sunscreen even if it is cloudy outside? Since it can be extra cold, a moisturizer or lotion might not be enough to keep your skin hydrated. To provide further moisturization, consider putting on serum. A serum usually contains essential nutrients needed by the skin. It can contain glycolic acid, hyaluronic acid and vitamin C. Unlike moisturizers, serum works by penetrating deep into skin to deliver these essential nutrients. Moisturizers, on the other hand, primarily work as a barrier to protect the skin from the environment. One area of the body that commonly suffers during cold season is the lip. It can get really dry, cracked and chapped. It can be a bit challenging to apply lipstick or lip gloss as the lips can get flaky and can cause feathering. To prevent lips from being damaged, always apply lip balm. If possible, choose a lip balm enriched with vitamins and natural oils for quick repair and moisturization, respectively. Taking long, hot showers can strip the skin of its natural moisture. During fall and winter season, skin dryness after bathing can be aggravated. To help replenish the lost moisture, it recommended that you add oil to your favorite shower gel or choose one with olive oil, rose oil, or coconut cream in it. Apart from these tips, it is also advised to stay hydrated at all times. Drink plenty of water since the cold can cause you to urinate frequently on top of drying out the skin. Take vitamin C supplements to keep skin healthy. Help protect your skin, hair and nails by wearing appropriate clothing such as long sleeves, sweaters, closed shoes and a hat. The more protected your skin is from the harsh weather, the less stress there would be. What Beautiful Celebrities Look Like With No Make Up!